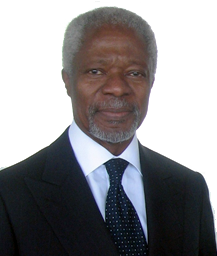 Kofi Annan was UN Secretary General when the 1998 Rome Conference drafted and adopted the Statutes of the International Criminal Court. He was re-elected for a second term at the head of the UN Secretariat in 2001, and has witnessed numerous other campaigns for high international office and the trend toward more open and competitive multilateral elections. In his Huffington Post editorial last week, however, he warns about the pitfalls that a competitive campaign for the post of ICC Prosecutor could politicize the election and weaken the eventual office-holder’s independence. The Rome Statute recognises that this is a unique international post. The Prosecutor serves for up to nine years, and cannot be re-elected — thus strengthening the independence of the post. Moreover, unlike many senior international posts, there are very specific and clear rules in place to prevent the arbitrary removal of the Prosecutor. The Rome Statute also makes clear that appointment should be solely on the basis of merit and proven experience, and that whoever is chosen must be a person of “high moral character”. The 118 States that have so far joined the Rome Statute are obliged, therefore, to avoid the temptation of treating this appointment as they do other international jobs. Too often, candidates for senior posts at international organizations conduct elaborate election campaigns in conjunction with their governments. This approach brings quite a lot of problems with it: first, persons who are not supported by their own governments, no matter how qualified, have no hope of becoming an official candidate, much less getting elected. It also leads to vote-trading in a type of global bazaar: one country promises support for another country’s candidature in exchange for the latter’s support for one of its own candidatures for a different post. Merit often becomes a secondary consideration. This must not happen in the election of the ICC Prosecutor. There must be no hint of politicking in the election of the person who will exercise the important functions assigned to this post. Annan, who also chairs the non-governmental Coalition for the ICC’s Advisory Board, describes a unique feature of the selection process. To their credit, the States Parties to the Rome Statute are trying something new. A Search Committee with five members has been constituted to search for possible successors to the current Prosecutor. Independent search committees have been proposed before as a means of identifying a wider pool of qualified candidates in multilateral elections, actively recruiting female leaders for senior posts, and eroding the nationality principle in appointment processes. But they can also complicate matters if states are not agreed on the size and composition of the committee or its terms of reference are unclear. In most cases, other improvements in the selection process would be preferable to search committees. The inherent downsides of a search committee however may have been avoided in the Prosecutor selection process. The Search Committee has drawn up a list of candidates all of whom will be interviewed, and then it will provide the States with a final short list of three names. The final decision rests with States. Member States may still nominate separate candidates, but so far none of them have done so, thereby respecting the Search Committee process. More on the Search Committee’s members and processes can be found in this paper from the Coalition for the ICC’s Election Team. The process used for the Prosecutor will contribute to the ongoing trend toward improved accountability mechanism in global leaderships selection, and if, as Annan concludes, produces a qualified Prosecutor, will be looked to for future multilateral elections. This process is highly unusual in the international sphere and deserves the full support of all those interested in the success of the ICC. It holds out real hope of producing a consensus candidate who is chosen because he or she is best equipped to do the job. And it is this, above all else, that must guide the final decision in December.